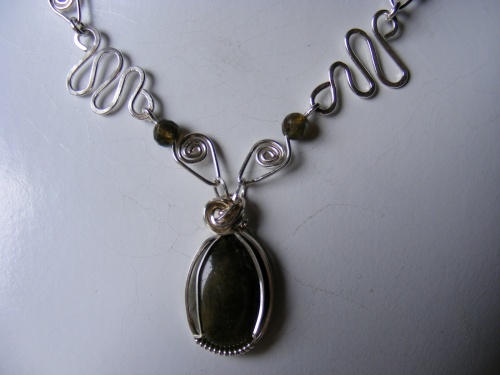 This gorgeous necklace is designed with sterling silver links enhanced with labadorite beads and a focal labadorite pendant also enhanced with sterling silver design. Very unique design. Comes with earrings.